Cayo Costa State Park is accessible only through boat. It is situated on a pristine eight-mile-long barrier island that forms a chain of islands. These islands shelter Charlotte Harbor and Pine Island Sound along the Gulf Coast of Florida. The island comprises nearly 2506 acres. It contains beautiful tropical vegetation. Its appearance has not changed over the last 500 years. Cayo Costa is translated as ‘key by the coast’. Early Spanish traders were behind this name. The early 1800s saw a lot of activity from the Spanish fishermen from Cuba. They formed ‘fishing ranchos’ on the islands along the west coast of Florida. This was the site for catching and drying of fish. They then transported them to Cuban markets. Two of these ranchos were identified by Smithsonian Institution. During the late 1800s, a quarantine station was established along the northern end of the island. This became useful for immigrants who entered the country through Boca Grande Pass. Since the 1900s, nearly 20 fishing families who lived on Cayo Costa founded a school, post office, and grocery store. Fishing is the primary activity on Cayo Costa. The Park Service now owns nearly 95% of the island. Private owners share the remaining 5%. There is lack of electricity and cables. Water is drawn from wells. This converts the private residences into rustic weekend getaways. Each cabin has a table and three bunk beds with mattresses. Visitors must carry all items they need, including food and drinks. Restrooms and showers are located in close proximity to the cabins. Cayo Costa is not a hotspot for everyone. It is ideal for those who do not mind roughing it up. Visitors are assured views of manatees dolphins and a variety of birds. Travelers can swim or snorkel in the water. The beaches stretch for nine miles. Saltwater anglers tend to fish from their boats. They often throw a line out in the surf. Winter months are ideal for shelling. Nature trails provide ample opportunities for hiking and cycling amid pine forests, oak-palm hammocks, and mangrove swamps. Day trippers need to depart before sunset. 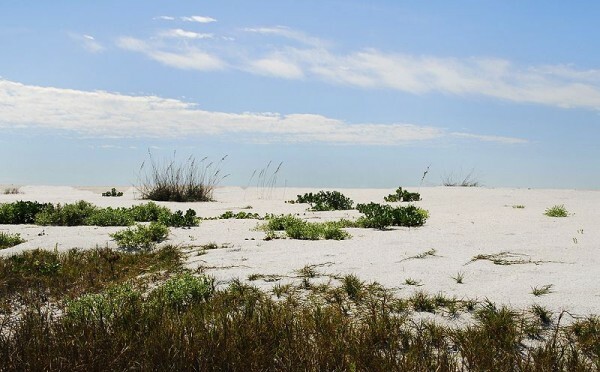 Cayo Costa State Park is situated south of Boca Grande toward the west of Pine Island and North Fort Meyers. Besides private boats, facilities by State Park, and the park can be accessed by Tropic Star passenger ferry. This ferry departs from Pine Island.